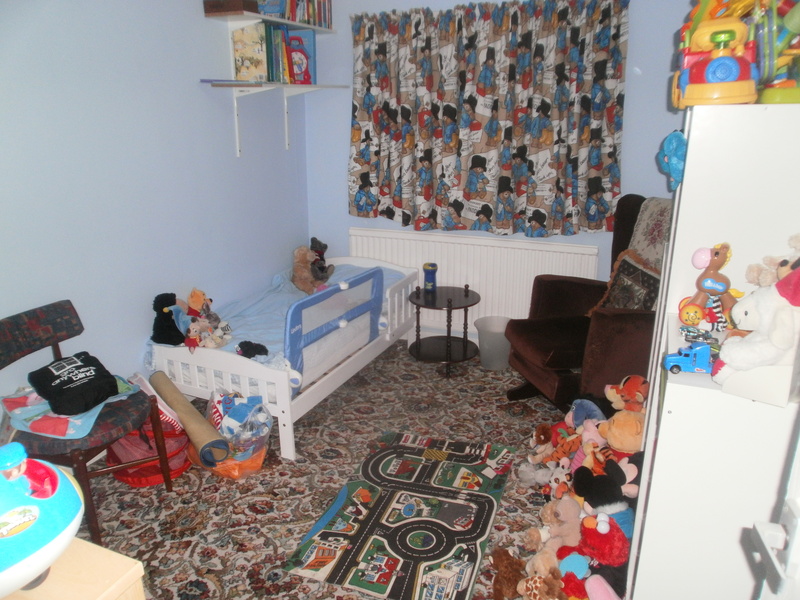 You can truly see he is on his way – we have most of his toys here and the cupboard (in shot bottom left), wardrobe & chest of drawers within wardrobe are full of clothes – both his and those that have come from my elder nephew. It is hard to believe in less than 10 hours we pick the boy up from his FCs house for the last time and bring him home for good. I am emotional just typing this week – the last 12 days have been incredibly strange but so wonderful in many ways. I am glad I have managed to blog each and every day and have the photos I do. My personal memory is not good so in the future I will need these to remind me of how it all went. This blog is also a record that long-term we hope to share with the boy so he can see our journey to becoming a family. Since I was first told at 27 that the likelihood of me having children was not great I always thought adoption would be the route for me – and here I am coming on 12 years later following a whirlwind romance and marriage to T actually fulfilling that dream. Now to see what the future holds – many twists and turns I am sure but we will face them together. Are those Paddington curtains? How fantastic! I live in the U.S. and I’ve always adored Paddington, but he’s never been the superstar here that he was/is in the U.K. Congratulations on bringing your little boy home! They are indeed. Think they were my brother’s curtains when he was little although they may have been mine and/or sisters first. Mum offered them to me which saved us finding suitable ones. Long term the boy will decide what he wants. They are lovely – lots of good bedtime stories to go with them! Got to say the curtain grabbed my attention too, I love them. The room looks wonderful, bet the floor wont stay clear for long though. Hope it’s all going well. Wonderful news and a lovely post! All the best for bringing your little boy home! Love the curtains too!! Wonderful! Takes me back to our first days! Get lots of sleep you’ll find the first few days exhausting! Congratulations! We have that carpet in one of our kid’s bedroom!! I hope things are going ok so far. Be kind to yourself, it is a MASSIVE thing and the early days are really tough emotionally and physically.